1. Empowered to Connect- Last weekend Matt and I spent 2 full days at the “Empowered to Connect” Conference Simulcast. The goal was that we would learn parenting strategies for connecting with our daughter once she is home. What we didn’t expect is the wealth of knowledge we got on TBRI (Trust Based Relational-Intervention) that we can apply to our current parenting of our biological children. It was SO good and we have been putting what we learned to work, but it has been A LOT of work. One of the simplest principles that we are working on is shown in this diagram. 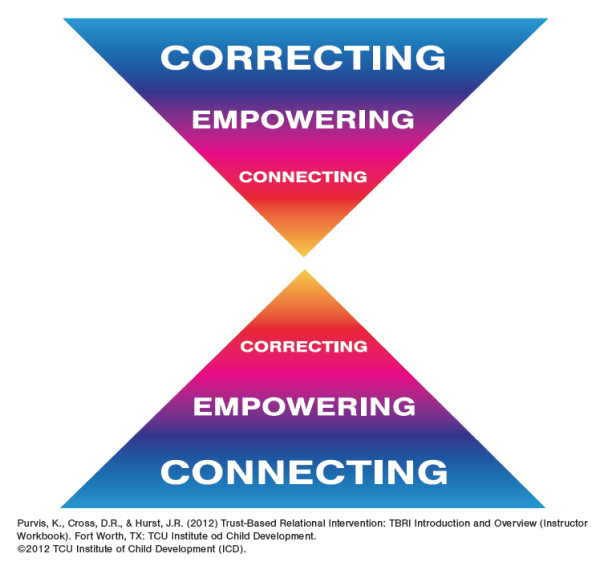 Basically the more you connect with your kids, the less time you’ll spend correcting, and vice versa. So this week we’ve been trying to minimize the “correcting” by upping our “connecting”. This has meant lots of playing catch, doing puzzles together, reading, and snuggling. It’s so simple but also so easily forgotten. 2. His Little Feet- After our two intense days of training, we came home for a concert presented by “His Little Feet“. 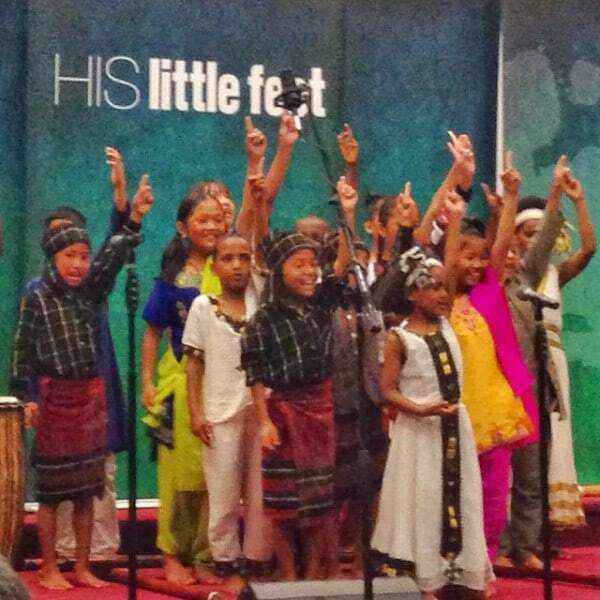 This is a choir made up of orphans from many countries with the goal of spreading orphan awareness. It was AMAZING. I don’t think it would be possible to walk away from this concert and not do something to get involved in orphan care. Wow. Would you consider sponsoring, adopting, or going? 3. These two- Need I say more? Aren’t they the cutest? 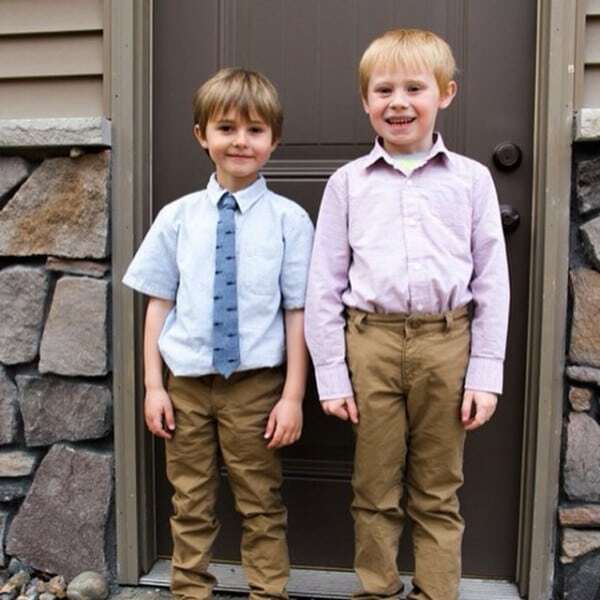 Mason’s tiny tie, Jack’s high waisted pants. Some days are hard, but I feel SO blessed to be their mom. 4. 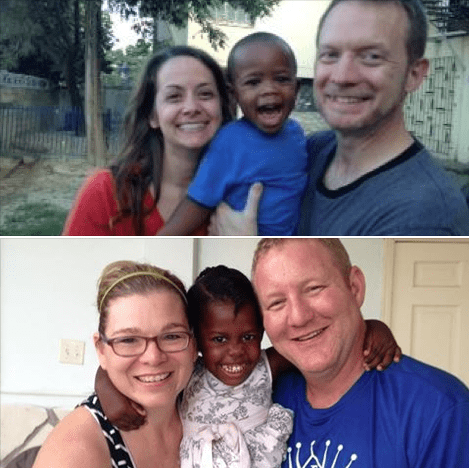 Adoption Update- We recently got the great news that things ARE happening in Haiti, and we are moving along through the process. Currently we are in the middle of five steps that have to happen before we get an official referral. We got the great news that the Judge of the Children’s Court signed our paperwork, now the Mayor has been invited to come and sign it. Once the mayor signs, it goes back to IBESR (immigrations) for matching. We’re praying that the mayor moves quickly so we can get back to IBESR for matching quickly! Once we get our official match we will get to go to Haiti and meet our daughter! We’re hoping this visit happens between May and November. 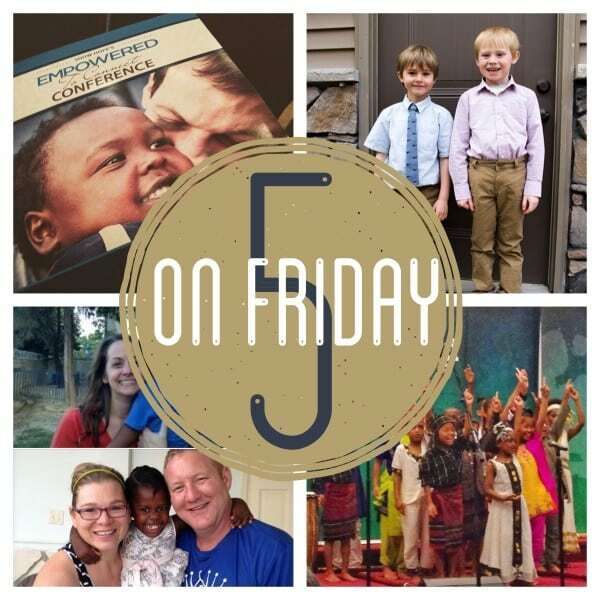 Here are two friends who recently got to go on their trips to meet and bond with their kiddos! 5. Moving! ?- Yes, it’s true, we are moving AGAIN! I’ve been waiting to share any details until everything is all set, but it just doesn’t feel right to keep you in the dark! I’ll share all the details as soon as I can, but here’s the basics… we’re staying in Dickinson, it’s another fixer upper (actually ANOTHER dated ranch), and YES, we are totally insane! Over the next few weeks I’ll be sharing all the projects we’ve been wrapping up around here, and as soon as I can share all the details I will!